The ability to keep mission-critical equipment mobile and protected is essential if specialist power equipment is to be deployed and operated under constantly changing situations. By mounting systems on trucks and flat racks or pre-fitted in ISO Containers or tactical shelters, highly mobile, durable platforms can be quickly deployed. 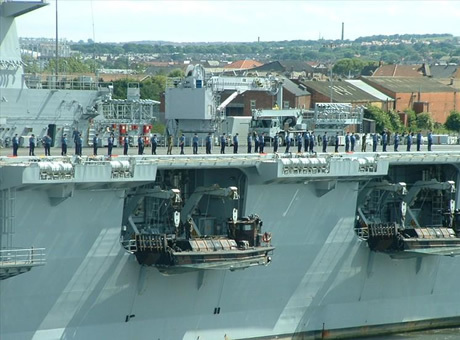 Such systems place rigid restrictions on space and weight available. The modular construction of Fischer Panda generators and ability to custom build allows them to meet specific design requirements which require minimal setup time and fast out-of-action times. 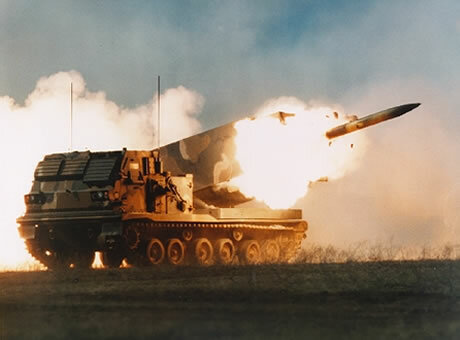 Radar / weapon control centres, air defence systems and satellite communication systems require a dedicated supply of continuous, clean power so that their sensitive electronics can operation without disruption. Fischer Panda Generators are tested for EMI / EMC compatibility so they are can be installed in close proximity to powerful electronic equipment. The Palletized Load System (PLS) / Dismountable Rack Offload and Pickup System (DROPs) has revolutionised the distribution and resupply system. 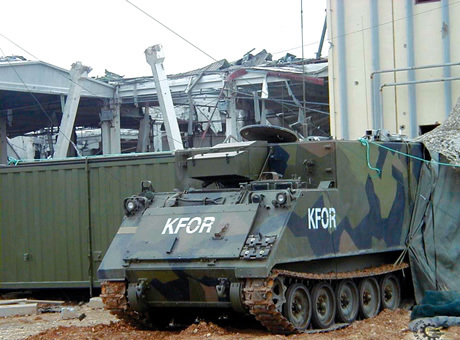 Complete systems including generators with electrical distribution can be quickly transported to support critical front-line missions where they are required. Fischer Panda Generators are enclosed in a super-silent capsule which ensures the operation sound level is kept to a minimum. The rugged design also protects generators from harsh weather conditions or other environments. 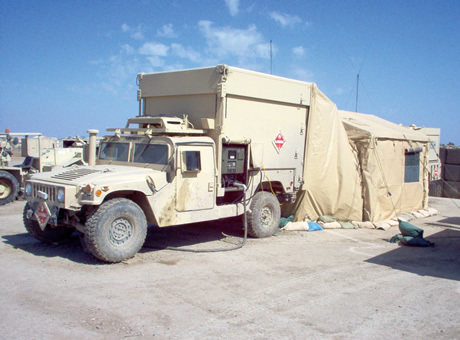 Tactical shelters are designed to be deployed and setup quickly while operating in a lighter tactical role. They are constructed as soft-skinned, hybrid, or rigid shelters with expanding sides or tent attachments to form larger self-contained operational areas. 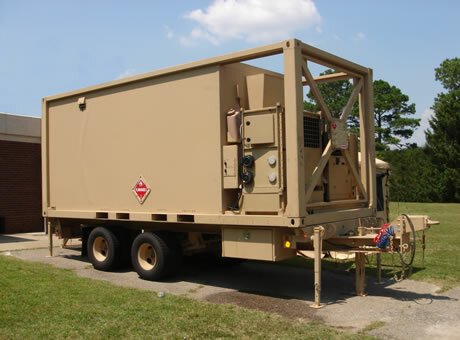 When deployed as tactical command headquarters they provide commanders with electrical power and a protected environment for equipment to operate in. Fischer Panda Generators are designed to fit into limited installation areas. Fully self-contained generators are capable of providing continuous energy supply during deployment and handle peak power requirements during intensive operations. 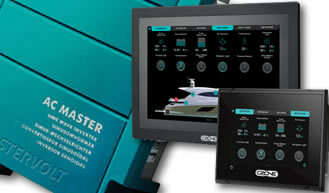 The ISO container is an ideal basis for mounting all components of a larger mobile power system, including generators, fuel and space for spares and maintenance work. By maintaining standard shipping dimensions and transportation platforms, the logistic effort is reduced especially during multi-national missions. The rugged steel frame of the ISO container is ideal for adding additional protection for generators operating in critical tasks. Fischer Panda Generators can supply the necessary starting power to operate heavier equipment such as ECUs, motors, compressors and pumps. 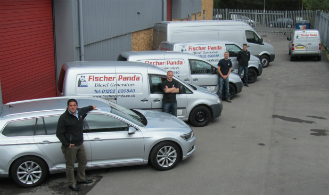 Fischer Panda also has a specifically designed ECU for military needs which ensures a clean, controlled environment for operating in extreme weather and tactical conditions.